Designed by Samantha Walker. 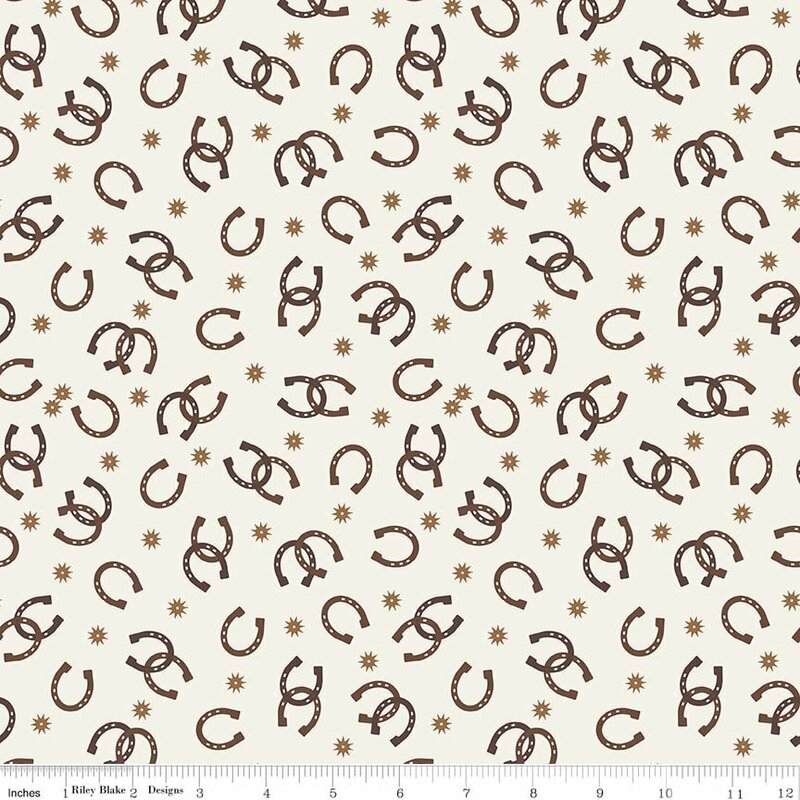 Horseshoes on cream background. 100% cotton. 44 in. wide.